Rotting Railway, From Iconic Back Cover, Divides Music Purists and a Town. ATHENS, Ga.—In a verdant park tucked away in this southern college town sits a partially demolished railroad trestle. Strands of dead kudzu hang from its log supports. Parts of the wood crumble to the touch. Abandoned as a working rail bridge in 1984, the rotting monster would have faced its reckoning long ago were it not for a random photograph that transformed it into a shrine for devoted fans of legendary rock band R.E.M. 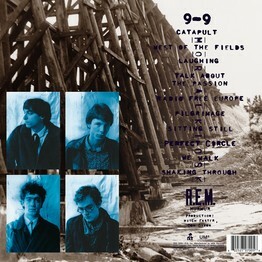 A photo of the trestle graced the back cover of the band's first full-length album, "Murmur," released in 1983. That album was dubbed best record of the year by Rolling Stone, beating out Michael Jackson's "Thriller." Now, the birthplace of R.E.M., the B-52s and other alternative rock bands is wrestling with what to do with the trestle. The cash-strapped local government says it can't afford to keep it and calls the wooden edifice unsafe. "It either falls down or we take it down," says Andy Herod, a county commissioner. 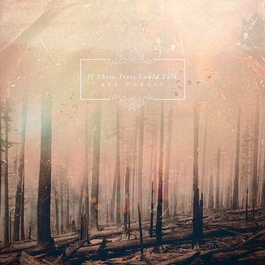 Post-rock quintet If These Trees Could Talk highly anticipated album called "Red Forest," is scheduled for release on March 20th via Science of Silence Records. For the Doors, 1969 was a year marked by singer Jim Morrison's arrest on charges of lewd and lascivious behavior and indecent exposure following the group's chaotic Miami concert. Because of the incident, the rest of the group's tour was canceled. So the Doors--Morrison, guitarist Robby Krieger, keyboardist Ray Manzarek, and drummer John Densmore--were in the studio to work on their next album, "L.A. Woman." But the legal hassles that included a trial were on Morrison's mind. "The fact that he was still under the gun being appealed, they convicted him of lewd and lascivious [behavior]...so he was looking at jail time in Florida," Krieger tells CBS News. "It was hanging over his head. He probably would have beaten it...but that definitely affected him. But in making the record, it was a release for him because he was having fun and not thinking about it." Released in 1971, "L.A. Woman" became one of the band's successful albums, yielding classic songs in the title track, "Love Her Madly" and "Riders on the Storm." Apparently Slash is putting the finishing touches on his second solo album. The as-yet-untitled disc is scheduled for May 22 release date his label Dik Hayd International. The album will be produced by Eric Valentine and also feature Slash's recent touring band which includes Myles Kennedy (vocals), Brent Fitz (drums) and Todd Kerns (bass). 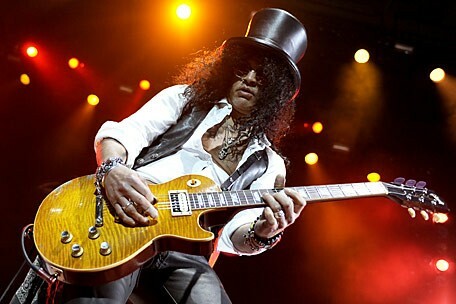 Slash commented on the upcoming album: "Myles and I basically collaborated on the new material. The main thing is we wrote these songs together which is a big difference from the last album where I wrote each song with all of the different collaborators. The whole creative nucleus is between Myles and me. On top of this, the whole rhythm section of Brent and Todd brings something to the table and changes the dynamic completely from the last record--it's much more cohesive." 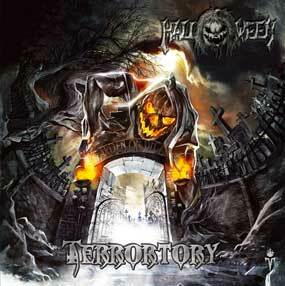 Metal vets Halloween are set to release the band's new LP 'Terrortory,' their first album in six years. The effort is being released on February 24 via Pure Steel Records. In 1943, Frank Sinatra began a two-year stay as the featured vocalist on CBS Radio's "Your Hit Parade," four months after leaving the Tommy Dorsey band. 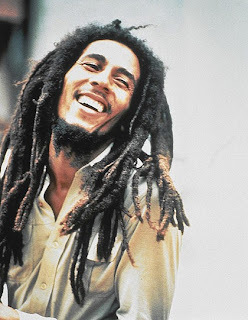 Born on this day in 1945, Bob Marley, singer / songwriter and guitarist who had the 1981 UK #8 single with ‘No Woman No Cry’, plus over ten other UK Top 40 singles and the 1976 US #8 & UK #15 album ‘Rastaman Vibration’. Marley died of cancer on May 11th 1981. The 1984 ‘Best Of’ album spent 330 weeks on the UK chart. In 1990, February 6th was proclaimed a national holiday in Jamaica to commemorate his birth. Inducted into the Rock and Roll Hall of Fame in 1994. In 1958, in Liverpool, Paul McCartney introduced his friend George Harrison to John Lennon following a Quarry Men performance at Wilson Hall. At that time the group consisted of John, Paul, Colin Hanton, Eric Griffiths and John Lowe. In 1959, the body of J.P. Richardson, the "Big Bopper," was laid to rest in Beaumont, Texas. getaway from the first concert with a mixed race audience in Little Rock, Arkansas, after threats had been made against Belvin's life. In 1965, the Righteous Brothers led the US hit parade with "You've Lost That Lovin' Feelin". According to the RIAA, the song has now been played on US radio stations over 8 million times, more than any other record in history. In 1970, in New York City, Eric Clapton played the first of two nights at the Fillmore East. In 1971, in a rare feat, a Country song crossed over to the Pop charts and became the best selling single in America when Lynn Anderson's "Rose Garden" climbed to the top of the Cash Box hit parade. In 1976, jazz pianist/composer Vince Guaraldi suffered a fatal heart attack at age 47. In 1981, George Harrison, Paul McCartney and Ringo Starr – although they were never all in the studio at the same time – began recording the John Lennon tribute song, "All Those Years Ago." In 1981, conductor/composer Hugo Montenegro died of emphysema at the age of 55. In 1987, Sonny Bono declared his candidacy for Palm Springs, California mayor. In 1988, Dusty Springfield returns to the US Top 10 for the first time in nineteen years with a duet with Pet Shop Boys called "What've I Done To Deserve This". Her last big hit in America was "Son Of A Preacher Man" in December, 1968. In 1990, more than 200 women filed court actions against Chuck Berry, alleging he secretly filmed them in the washrooms of the restaurant he owned. Berry claimed that he had the camera installed to catch an employee who was suspected of stealing. Although the charges were never proven in court, Berry agreed to a settlement with 59 of the women that cost him more than $1.2 million, plus legal fees. Also in 1998, singer Falco died from injuries suffered in a traffic accident at age 40. In 2001, guitarist/songwriter Don Felder was fired by the Eagles and responded by launching a $50 million law suit against the band's Don Henley and Glenn Frey, alleging wrongful termination and breach of implied contract. Henley and Frey then countersued Felder for breach of contract, claiming that Felder had written and attempted to sell the rights to a "tell-all" book about the group. The suits were combined and settled out of court in Felder's favor in 2007 for an undisclosed amount. In April 2008 Felder finally issued his book, "Heaven and Hell: My Life in the Eagles (1974-2001)" in the U.S., six months after it appeared in the UK. In 2005, at Alltel Stadium in Jacksonville, Florida, the Black Eyed Peas, Earth Wind & Fire, Charlie Daniels, John Fogerty, and Gretchen Wilson performed in the pre-game show, Alicia Keys sang "America the Beautiful" in tribute to Ray Charles, and the combined choirs of the U.S. Military Academy, the U.S. Naval Academy, the U.S. Air Force Academy, and the U.S. Coast Guard Academy sang the U.S. national anthem at Super Bowl XXXIX. Paul McCartney performed during the halftime show in front of a TV audience estimated at one billion people. The New England Patriots defeated the Philadelphia Eagles, 24-21. 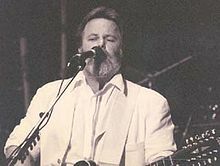 In 2005,songwriter/country music singer Merle Kilgore died of congestive heart failure while receiving treatment for lung cancer at the age of 70. In 2007, singer/songwriter/actor/TV host Frankie Laine died of heart failure and complications during hip-replacement surgery at the age of 93. The big voiced singer sold over 100 million records and placed seven songs on Billboard's Top 40 between 1955 and 1969, including "Moonlight Gambler" and "Love Is A Golden Ring". In 2010, Michael Jackson's personal physician, Dr. Conrad Murray, was charged with involuntary manslaughter in an attempt by L.A. prosecutors to prove he caused the pop star's death. With several members of the Jackson family in attendance, Dr. Murray entered a plea of not guilty and was released on $75,000 bail. His trial began on September 27, 2011, and on November 7 Murray was found guilty of involuntary manslaughter. Three weeks later, he was sentenced to the maximum penalty of four years of incarceration, but is expected to serve a little less than two years in the Los Angeles County Jail due to California prison overcrowding. In 2010, Barbra Streisand turned down a $100 million offer to appear at a Las Vegas hotel for a three-year run. The 67-year-old singer opted for a summer tour of the United States instead. In 2011, at Cowboys Stadium in Arlington, Texas, Keith Urban and Maroon 5 performed during the pregame show, Christina Aguilera sang the U.S. national anthem (with the wrong lyrics for the fourth line of the song), and the Black Eyed Peas, Slash and Usher entertained at halftime of Superbowl XLV. The Green Bay Packers defeated the Pittsburgh Steelers, 31-25. Also in 2011, guitarist/singer Gary Moore, formerly of Thin Lizzy, died after a heart attack at age 58.